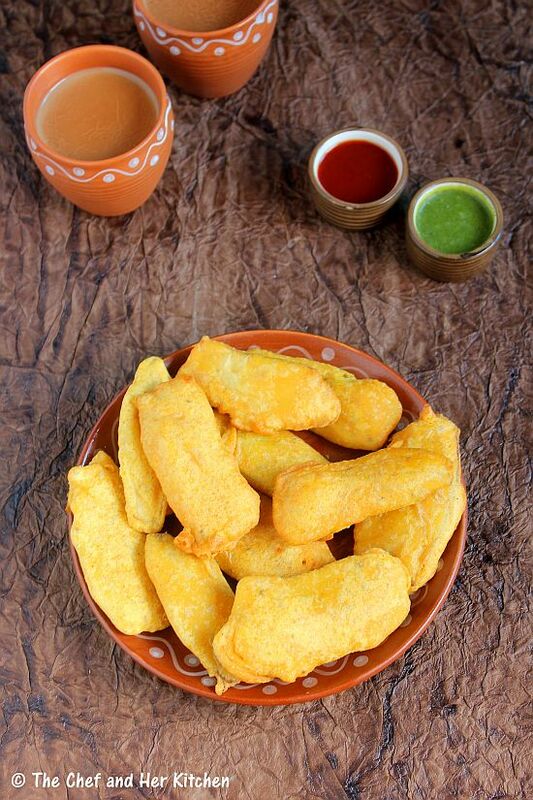 Monsoons are tempting me to make fried pakoras (fritters) often these days. Well , am not sure if I should be blaming the weather or the temptation to make something interesting that I could post. This is more so becoming an excuse for me to indulge in such fatty deep fried goodies that I usually avoid preparing more than once in an month. 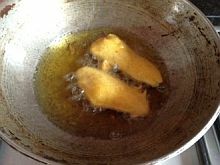 TH is the one who initiates me to make some of his favorite deep fried goodies at times. These dishes include Puri, Batura or various kinds of fritters (Pakora).I must say that TH was elated at being served deep fried goodies on two consecutive weekends and that too without pushing me to prepare it. In South India, there is a slight difference between Bajjis and Pakoras.If the vegetables are dipped in batter and deep fried then it is known as Bajjis and if its prepared with the mixture of cut vegetables like onions or cabbage and mixed with besan (chick pea flour) mixture and deep fried then it is called as Pakoras.In North India, any vegetable mixed with Besan mixture and deep fried in any form is called Pakora.One can prepare various Bajji varieties by using any vegetable but the most common one's are Onion Bajji, Potato Bajji, Capsicum Bajji, Mirch Bajji and Raw Banana Bajji.In South India, in few stalls they even cut these Bajjis in the centre and stuff it with a mixture of onions,coriander,salt and lemon juice. Try it once, you will like it a lot.. If you are interested check out few Pakora varieties like Babycorn Pakora , Stuffed Eggplant Pakora , Stuffed Okra(Ladies finger) Pakora , Oats Pakora , Onion Pakoda/Crispy Onion Fritters. 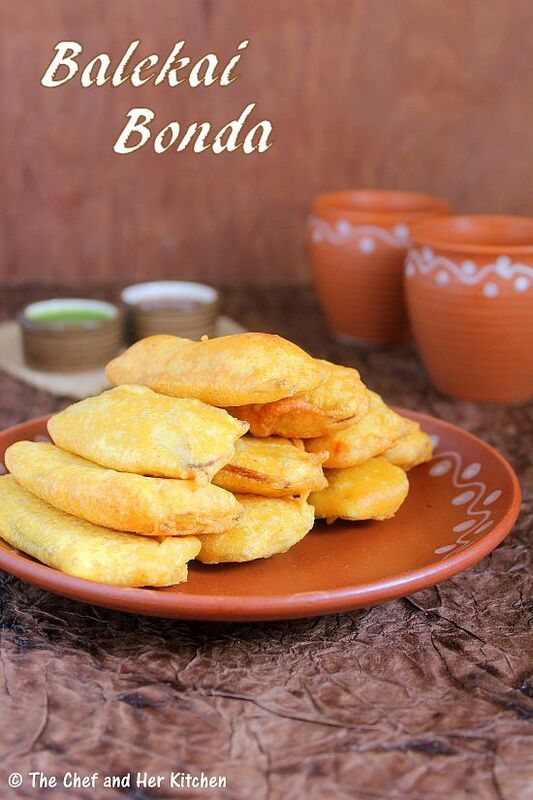 In the monsoon season, apart from Pakoras even hot bondas and Vadas are equally relished. 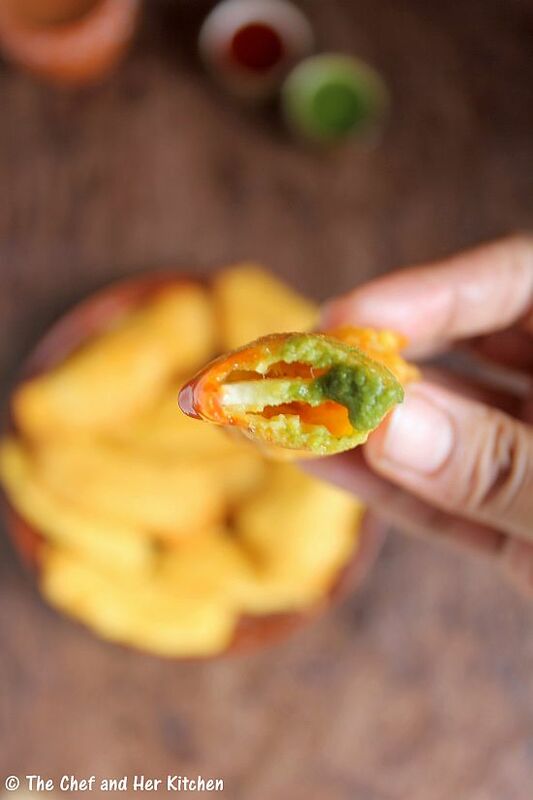 In fact at my mom's place, we prefer bonda and vada over Pakoras and Bajjis and of course there are few exceptions like Mirch Bajji.My mom mostly prepares bondas with either rice flour or sago or the left over dosa batter. Check out various Vada(Vade) and Bonda like Maddur Vada , Mixed Dal Ambode(Vada) , Masala Vada/Chana dal Vada, Onion Samosa/Ullipaya Samosa, Punugulu/Dosa Batter Fritters , Saggubiyyam Bonda/Sago Bonda and Alasandula(Lobia) Vada/Fritters. While Pakoras, Bajjis, Bondas and Vadas are not healthy options as they are deep fried, I don't mind consuming them once in a while.In case you are a health freak and want to avoid these deep fried goodies and opt for something light and healthy, I would suggest that you check out a few Cutlet and Tikki recipes in my blog - Vegetable Chops , Zucchini Patties, Maggi Noodle Cutlet , Sago(Sabudana)Tikki, Broccoli Cutlets and Hara Bhara Kebabs. 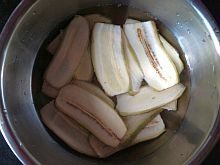 Peel the skin of plantains and slice lengthwise into thin pieces or you can use a slicer to do this work.I have an adjustable slicer and hence I can make slightly thick pieces.Drop them in water until its usage so that they would not loose their color.Do not slice them very thin like we do for chips,slice them of medium thickness so that they will hold the batter when we dip in the pakora batter. Mix all the items(mentioned under 'for Batter') well and make it into a smooth paste by adding enough water.Add the water slowly and use a wire whisk and whisk to the consistency of thick idly batter consistency and make sure you don't add too much water at once.The more you beat the mixture the better and fluffy the pakoras would be.You should ideally beat the batter for 3-4 mins. Mean while heat oil for deep frying. 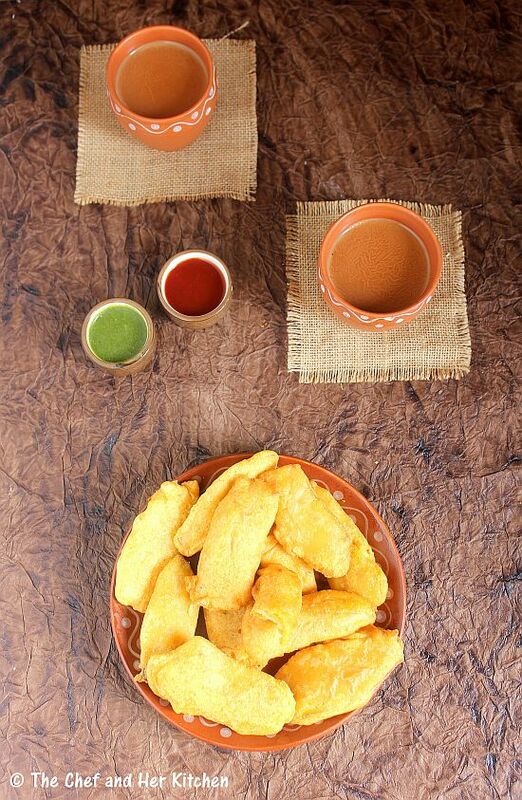 Hold the edges of plantain slices and dip each of them in batter and individually and drop them slowly into hot oil and deep fry them till it becomes golden brown in color on medium flame. Drain them on to a kitchen towel to remove excess oil. 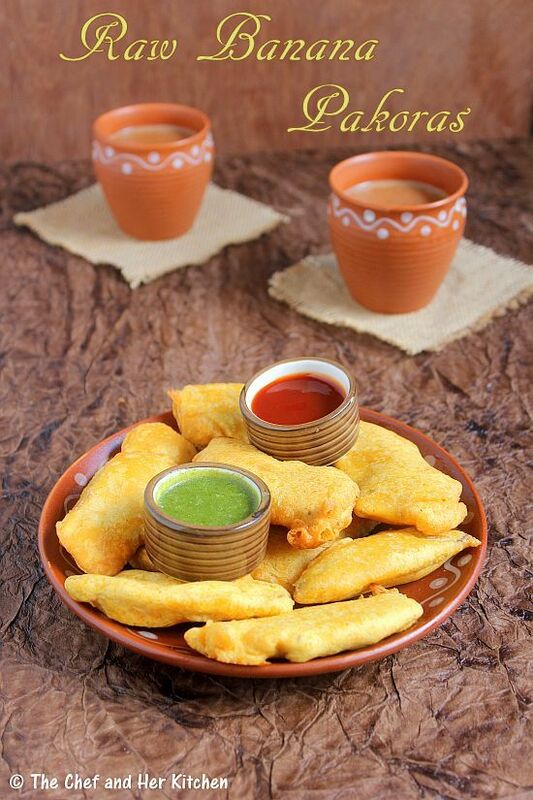 Serve them hot with Imli Chutney/Green Chutney/Tomato Sauce. 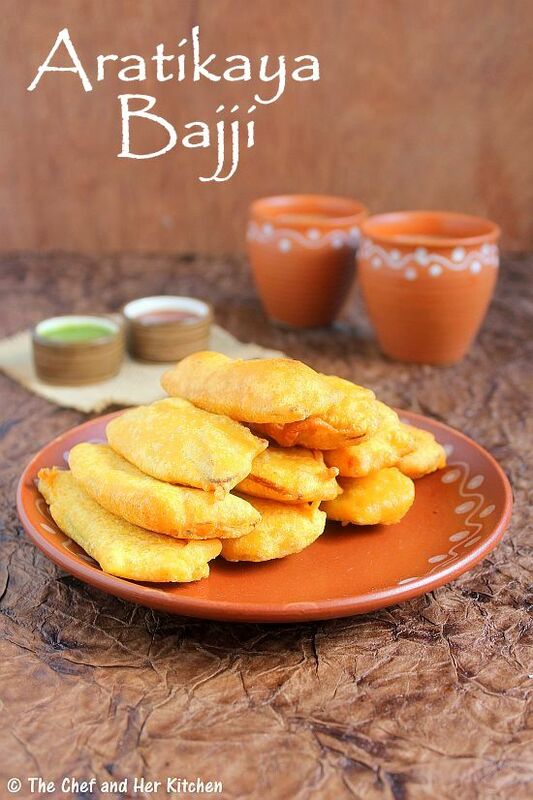 You can even top them with a mixture of finely chopped onions,coriander leaves,salt and lemon juice like they serve in Bajji stalls in South India. You can use the same process for making pakoras like Cauliflower, Baby corns, Broccoli and Poblano peppers(remove the seeds) by blanching them in hot water initially and follow the same process. 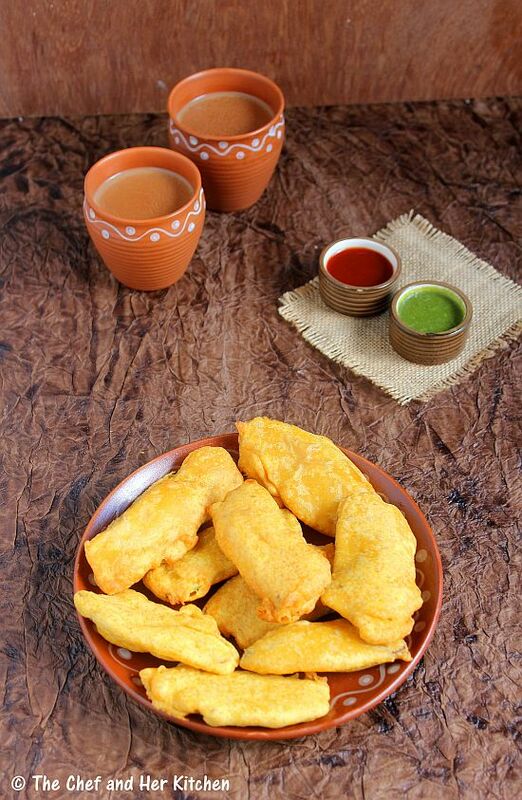 You can use the same batter as base for all pakora varieties like Potato(cut into thin slices), Brinjal(cut into thin slices), Onion(thin round slices as well as lengthwise) and Capsicum rings. 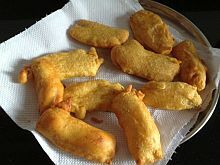 The addition of garam masala is completely optional,as plantain is a bland vegetable I added it to spice up the batter. 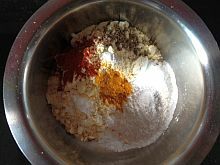 The addition of rice flour makes the pakoras crisp. 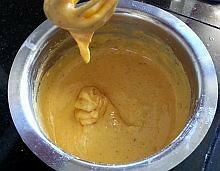 I like to add hot oil to the batter mixture as it will make the pakoras crisp and also makes them consume less oil.Make sure you beat the batter which will makes the pakoras more fluffy. super tempting who can resist? Salivating here, i want that plate.. The most comforting of all fried items. Love the way they have turned out.